Richmond Castle in North Yorkshire one housed conscientious objectors in its Cell Block. 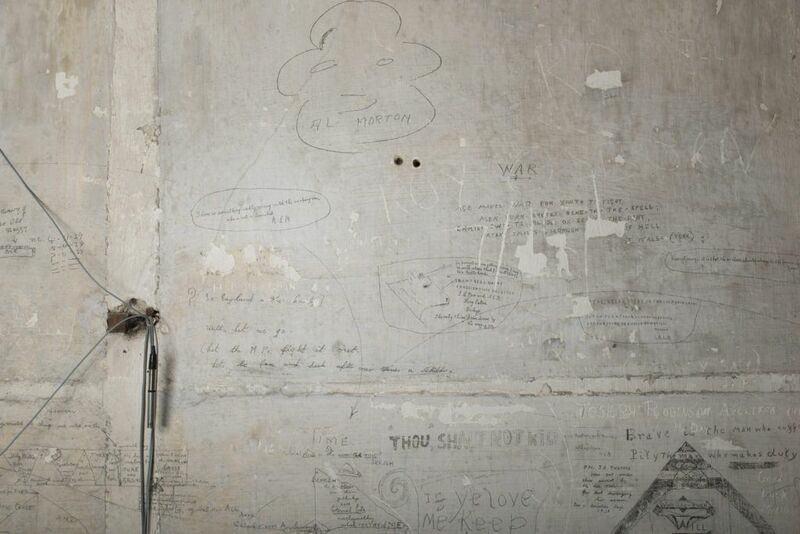 While incarcerated they, and others, plastered the walls with thousands of graffiti images and messages – personal records of lives, loves and beliefs. 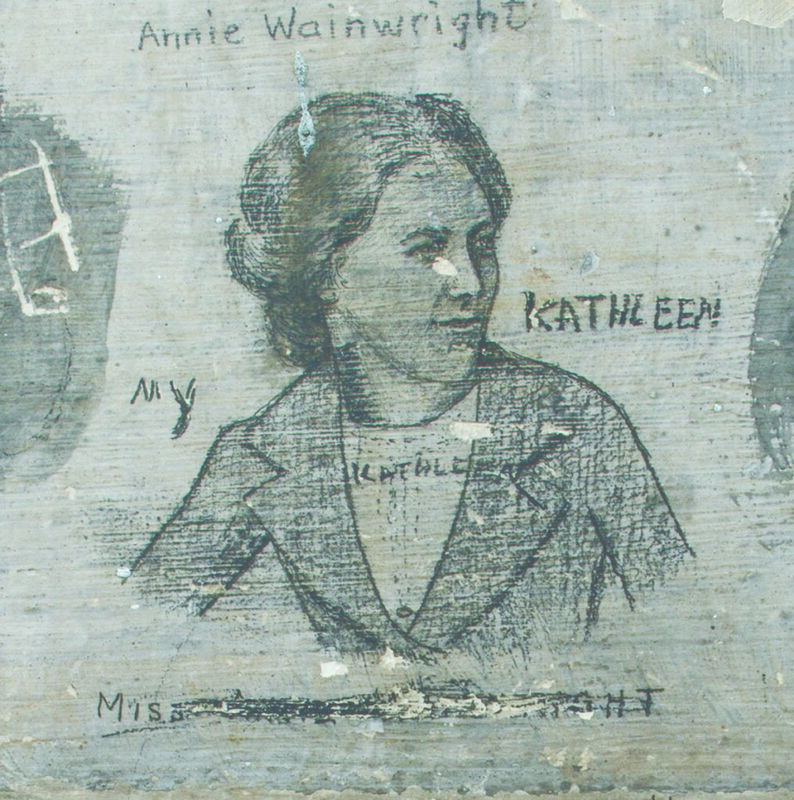 The graffiti is a unique and valuable record of these men’s lives and the times in which they lives. 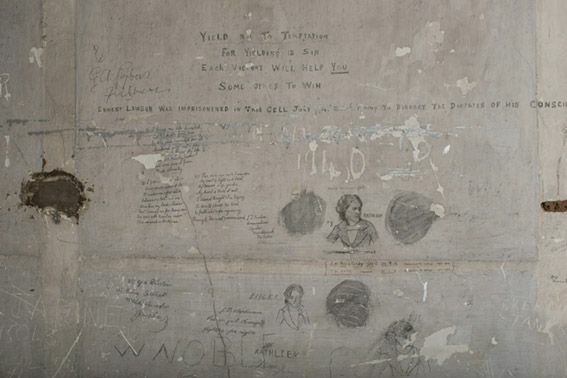 English Heritage is currently undertaking conservation work to preserve the graffiti, reduce water ingress and record the images for the future. Bivouac has been busy working on new branding, exhibition materials and external panels to help promote and interpret the Cell Block project. We developed a brand inspired by the graffiti, letter styles, line quality and materials present in the Cell Block. The logo is hand-lettered and uses print-making techniques and scratched materials to achieve a result that feels created by human hand. 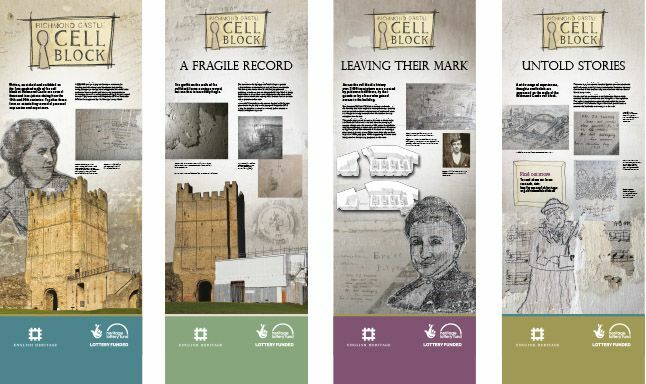 The Richmond Castle: Cell Block project is a finalist in the 2018 National Lottery Heritage Awards. Take a walk around the Cell Blocks with this video. Click here to find out more about Cell Block project and to see more of the graffiti.